Amanda Nunes on her way to a dominate win over Raquel Pennington at UFC 224. 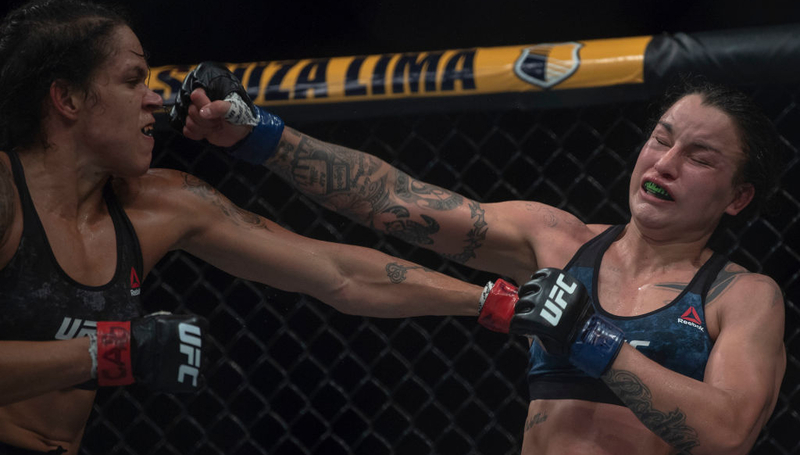 Bantamweight queen Amanda Nunes is fast running out of worthy challengers to her crown after a systematic beat down of Raquel Pennington in the headline slot of UFC 224. In front of a partisan Rio crowd at the Jeunesse Arena, Nunes stopped the No2 ranked women’s 135lbs challenger in the fifth round following four rounds of brutal leg kicks and stinging right hands. It was far from the slickest performance of the Brazilian’s career but the champ was effective, although the contest could have and perhaps should have been finished earlier than the final round. Indeed, Pennington’s nose was busted and broken by a series of knees towards the conclusion of the fourth stanza and realising the result was beyond her, told her coaches during the break “I’m done”. Pennington’s corner, however, refused the plea and convinced her to fight on. To the American’s credit, she attempted to unload in the final round but was soon taken to the ground. 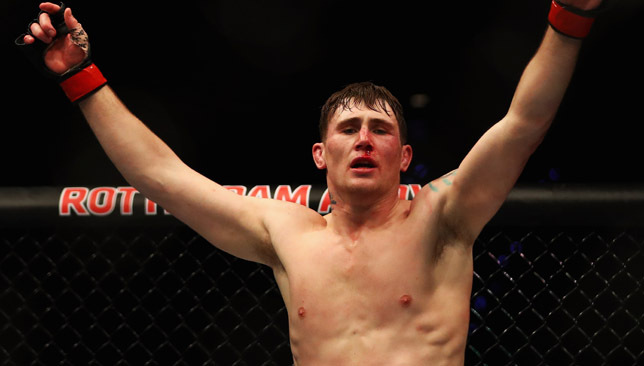 Nunes smelt blood and soon exploded a fountain of it after landing elbows on top before referee Marc Goddard stepped in, something the corner should have already done. “It’s sad,” Nunes said post-fight. “(Teammate) Nina (Ansaroff) told me. I didn’t even know. Nina told me in the locker room. It’s sad because you could avoid something. She went to the hospital. It might be a bad injury for her to go to the hospital. I already asked Nina to text her – if she needs anything I’m here. It’s sad. “If she didn’t have the right conditioning to fight then the coach should have thrown in the towel for sure. Elsewhere on the card, Kelvin Gastelum launched himself into middleweight title contention with a split-decision win over Jacare Souza while Mackenzie Dern, who missed weight for her 115lbs clash with Amanda Cooper by a wide 7lbs, extended her unbeaten MMA record with a first-round rear-naked choke submission. The most stunning knockout of the night arrived when Lyoto Machida front-kicked Vitor Belfort into retirement but on the ground Alexey Oleynik produced a classy finish of his own with a first-round Ezekiel Choke submission of Junior Albini.